A new century has dawned in America, but the shadow of slavery’s legacy looms large across the country. In the city of Pittsburgh, tensions flare into riots in the African American community after a steel mill worker drowns himself rather than confessing to a crime he didn’t commit. As a city desperate for freedom descends into chaos, a murderer arrives on the doorstep of the only peaceful haven in town—the home of Ester Tyler. Known as a cleanser of souls, Ester takes this stranger on a spiritual journey of healing to the mythical City of Bones. 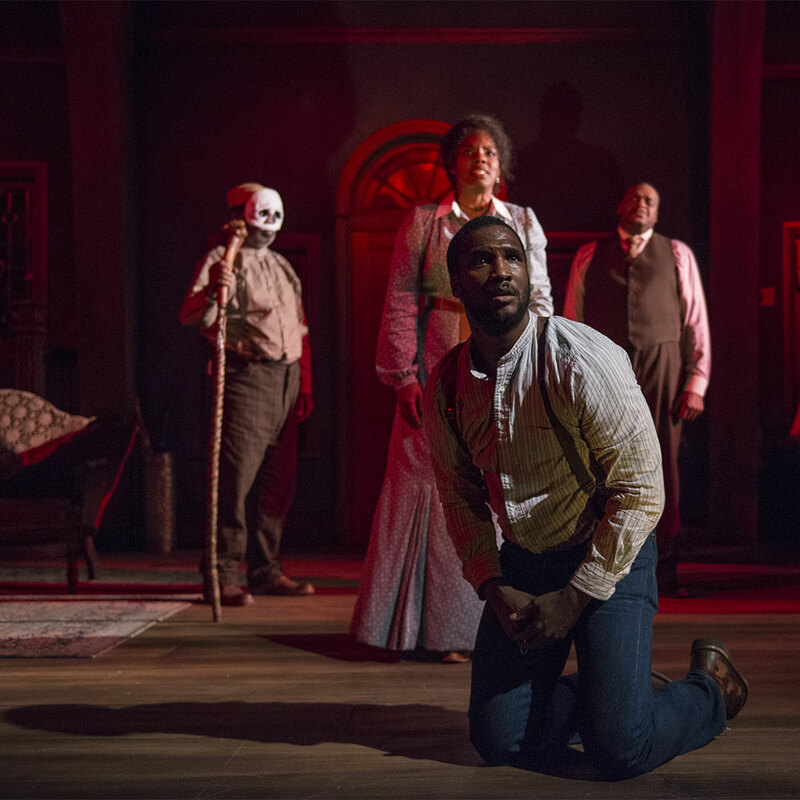 Resident Artist Ron OJ Parson continues his triumphant tour through August Wilson’s iconic century cycle with Gem of the Ocean, his seventh Wilson production at Court. Photo: Jerod Haynes, Jacqueline Williams, Tyla Abercrumbie, and A.C. Smith.